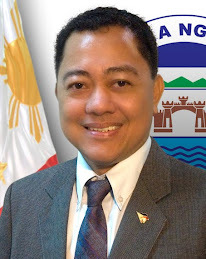 The winners of the 2006 TOCP Award (from left): Councilor Jorge B Banal Jr, 3rd Dist. of Quezon City, Lyndon P. Caña, lone Dist. Bacolod City, Enrique V. dela Cruz, Jr, 2nd Dist., Baliuag, Bulacan, Lynette E. Geonzon, 1st Dist. 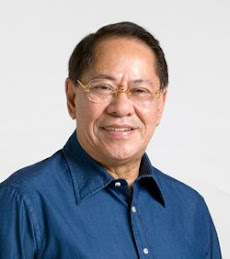 Minglanilla, Cebu, Antonio E. Inton, Jr, 4th Dist. Quezon City,Henry M. Kipas, La Trinidad, 2nd Benguet, Sen. Edgardo J. Angara, PCL Chairman Elmer Datuin, Edcel B. Lagman, Jr, 4th Dist. 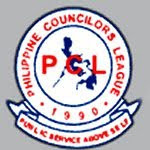 Quezon City, Jed Patrick E. Mabilog, lone Dist., Iloilo City,Wilfredo L. Madrona, Macrohon, Southern Leyte, Renato B. Sta. Maria, 2nd Dist. of Mandaluyong City, 2006 NP Maeng Penado & DILG Asst.Sec. Panadero. In a joint effort by JCI Philippines led by 2006 National President Ismael P. Penado and the Philippine Councilors League (PCL) headed by Chairman Elmer O. Datuin and PCL National President Carlo Pontico C. Fortuna, the Search for the 2006 “The Outstanding Councilors of the Philippines (TOCP) Awards was recently concluded.. The awarding ceremonies was held during the PCL National Convention in Cebu City last March 9, 2007 held at the Cebu International Convention Center (CICC) with no less than Sen. Edgardo J. Angara as the Guest of Honor and Speaker who served as this year’s main sponsor of the said project. The award aims in giving due recognition to commendable and excellent deeds of our country’s Councilors for their respective constituents they served. On its first year, said award joins the two main other annual undertaking of the JCI Philippines, namely The Outstanding Young Men (TOYM) and The Outstanding Policemen of the Philippines (TOPP) Awards. While this two other undertaking give recognition purely to humanitarian work, the TOCP Awards is uniquely given for outstanding leadership and excellent contributions to local legislation, governance and the nation at large. Its primary aim is for the recognition of the outstanding achievement of our nation’s councilors which have benefited significantly their constituents, the community and the nation. Likewise, it will also inspire others, especially the youth, with the recognition to these achievements and/or leadership of the awardees-leaders who have demonstrated vigor and innovativeness in tackling the problems of society and offering solutions. Moreover, the said award will also challenge and inspire councilors to become development-oriented and to excel beyond the ordinary.